Published: 2nd March 2014 by Todd. 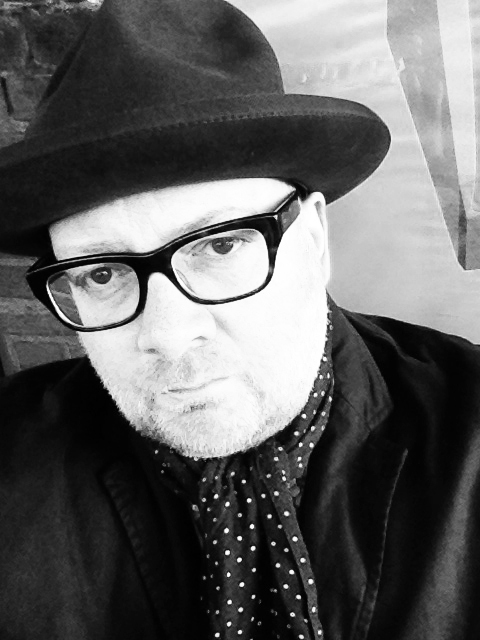 Graham Wood is one of the co-founders of Tomato, and from 1993–2003, he directed the large majority of the Underworld music videos, as well as providing artwork and tour visuals. Graham left Tomato in 2005, and is currently the Creative Director at Studio Heiss. In celebration of the 15th anniversary of Beaucoup Fish, Graham graciously answered some of our questions about his work on the music videos from that era in this exclusive interview. Born Dirty: The “Push Upstairs” video shoot was notoriously difficult due to the weather. Can you tell us a little bit more about what happened? 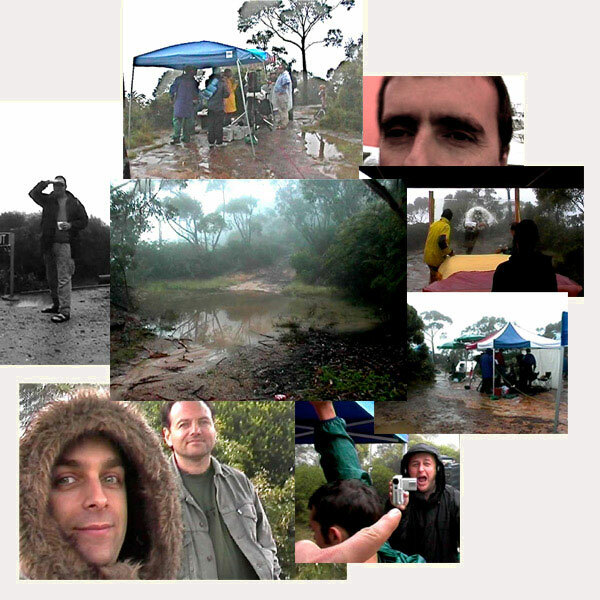 Graham Wood: It wasn’t so much difficult (we shot fairly easily, aside from getting wet, actually) as unexpected. Originally, we intended to shoot in Scotland—we just wanted to do a live video in an epic location. This started to work out too expensive; however, Underworld were playing at the Big Day Out, and as I recall it was actually cheaper to shoot in Australia, as everyone would be there anyway (rather than shipping a whole crew up to the Highlands, specifically). Seeing as I was unsure as to how epic we could get in terms of locations in proximity to Sydney, I came up with the glass jumping thing (there’s a scene in The Man Who Fell To Earth where someone gets thrown out of a skyscraper window. That’s where that came from) so we at least had a bit of action to work around if necessary—that build and ‘rush’ in the music as he goes through the window was something I really liked and wanted to bring out. 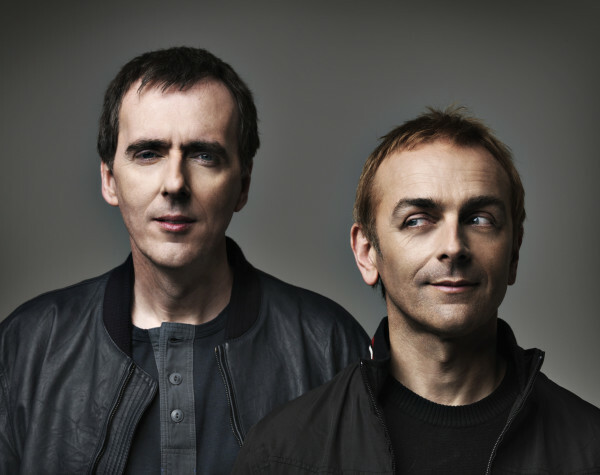 Anyway, we traveled out to Sydney to join Underworld and get the shoot and edit done. I managed to get a proper flu which only just cleared up in time for the shoot day. We scouted for locations around Sydney for a day, and there was a spot in the Blue Mountains which was encompassed by a beautiful vista stretching for miles and miles: when we first visited it was a stunning clear immense sky. So the thought was that the band could perform in this natural wonder, both for the video itself and also perhaps for a couple of other songs. Rick, Karl, and Darren were intending to play live in the environment and it seemed like we ought to try and make the most of this. We could afford a helicopter for some shots and we had a great crew, so everything was set for a big, epic performance video in a bright, sunny epic landscape. We went out to the location the night before – it’s a couple of hours by road from Sydney – and it was fairly late when we got to the hotel we were staying at. It seemed misty but atmospheric and really only natural for the climate and the altitude we were at. We got up early to leave for the location and prep. Still misty. Really misty. And drizzling. As we drove, we realised the rain, while minimal, was constant and irritating. What was worse was that the mist seemed to draw in as we drove until it seemed we couldn’t see more than 50 feet ahead. We crawled out to the location overlooking what had been an awe inspiring landscape and now was a wall of grey graduating to lighter grey. I remember standing at the edge staring out into the grey as the crew began to set up, still wondering whether we ought to shoot. The grey was so heavy it weighed on everything, leeching out colour from the brightest of tones so that everything seemed almost impossibly monochrome, primal. Once the initial disappointment had passed, and given that we had no choice (due to timing) but to go ahead, what we could see, and what effect the light had, was beautiful – something unimaginable, beyond planning. It was pretty amazing, actually. Except for the rain. We had a quick look around for interesting vistas (the tree, the end part of the video overlooking the distant forest), and of course, Rick, Karl, and Darren (and their brilliant crew) were truly absolutely open and up for getting on and doing something. From that point we carried on as if all was as expected and the shoot went as well as it could: and as I’ve mentioned, the worst bit was the incessant drizzle. The stunt, the jump through the sugar glass, was 3 takes I remember; we used everything that worked from all of the takes. I wish I’d either dressed Karl in the shirt and trousers or the stuntman in Karl’s parka. We also did a helicopter shoot out in the Blue Mountains which, of course, provided some great shots to build around and really opened out the ambience of the video. All of the post production – editing and effects – was also done in Sydney and this was equally as serendipitous as the video shoot itself. The bending, twisting of the image was a glitch in the effects which we kept in the video: it seemed to work with the rhythm. Although I liked the quality of the images, frankly it all seemed to be in bits, unrelated and somewhat underwhelming. I remember getting home to London and watching it on my VHS player, and it was only then that it even slightly seemed to have any character or atmosphere. BD: Besides “Push Upstairs”, you also directed the music videos for the other Beaucoup Fish singles, “Jumbo” and “King of Snake”. The style of all these videos is certainly a departure from earlier Underworld videos, especially the dubnobasswithmyheadman videos. Was this a deliberate stylistic choice? GW: Frankly, it was to do with the fact it was the first time we had any kind of budget, which meant we could achieve a different kind of approach: it was something we’d wanted to do for a while – it’s just that from a certain perspective, graphic work was easier to achieve with little/no budget! Almost everything prior had been done with passion and heart and thought and above all collaboration from editors and post production (Jon Hollis, Julian Bryant, The Mill, Smoke & Mirrors): with the Beaucoup vids we were in more of a ‘traditional’ situation in that we had video production budgets (but still had the freedom to explore and play). Of all of them, “Jumbo” is the closest to original intentions and was the simplest to make because of that. Paul McGann was nearly the ‘star’. “King of Snake” was initially going to be the first video and because of that had the most development/ideas (one of the things with “Push” was that it was relatively unformed ideas-wise due to the track switching fairly late in the process). We were pretty much on to do a video with Ray Park (Darth Maul – The Phantom Menace was on the way and very much still seeming like a good thing . . .) as a mysterious samurai type doing the most beautiful forms of iaido kata, in a big white space with massive japanese screens, with dramatic eerie snakey shadow puppets and Rick, Karl, and Darren behind each screen . . .
BD: Rumor has it that there was also a music video made for “Kittens”. What happened to that video; why wasn’t it released? And can you tell us anything about its content? GW: It’s true. However, it was a personal piece made in downtime with some abstract bits and bobs as a bit of preparation for live visuals: most of it appeared at live shows – some train and road tunnel footage, some bits of a buddha statue, the revolving perspex cube that Jason [Kedgley] shot. It was never intended for release, per se, and was probably pretty weak as a video. I don’t have a copy, and I don’t know where I’d find one, although I wouldn’t mind.